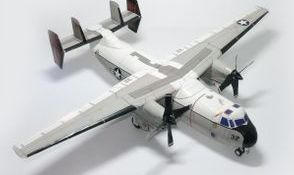 The Grumman C-2 Greyhound is a twin-engine, high-wing cargo aircraft, designed to carry supplies, mail, and passengers to and from aircraft carriers of the United States Navy. Its primary mission is carrier onboard delivery (COD). The aircraft provides critical logistics support to carrier strike groups. 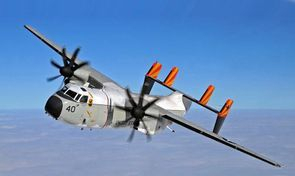 The aircraft is mainly used to transport high-priority cargo, mail, and passengers between carriers and shore bases, and can also deliver cargo like jet engines and special stores. Prototype C-2s first flew in 1964, and production followed the next year. The initial Greyhound aircraft were overhauled in 1973. 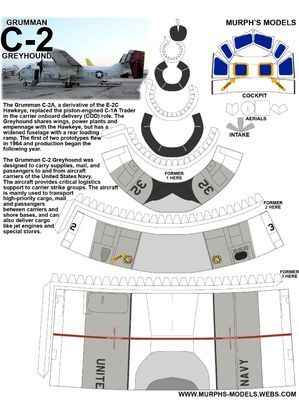 In 1984, more C-2As were ordered under designation Reprocured C-2A or C-2A(R). In 2010 all C-2A(R) aircraft received updated propellers (from four to eight blades) and navigational updates (glass cockpit).